Atmospheric art rockers Warpaint have been kicking around Los Angeles since 2004 but still manage to sound fresh and vibrant. CHRIS HAVERCROFT spoke to the band’s drummer STELLA MOZGAWA ahead of their Australian tour. Warpaint play Chevron Festival Gardens on February 19 as part of the Perth International Arts Festival. 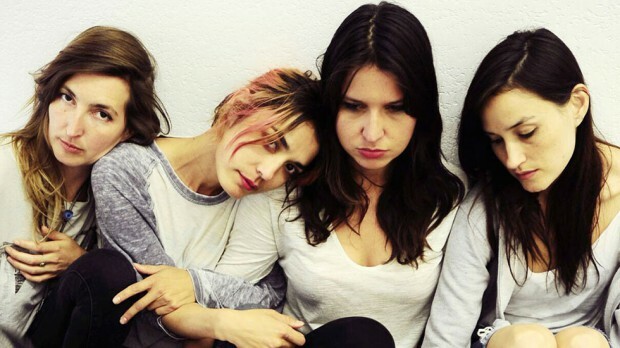 Warpaint are touring on the back of their third album Heads Up. It is a record that came on the back of the band almost breaking up, and sees them push the boundaries of their sound even further than before. This is no small effort for a band who are known for their musical experimentation and sass. This reaffirming of their commitment to Warpaint has paid dividends on Heads Up. The approach to making this record was different to anything that the band had previously done. Instead of working the songs up as a group in a rehearsal room, each member would present demos to the other band members so they had a blueprint to work from. It has lead to a record that is full of haunting vocal harmonies, driving bass and bewitching sensuality. Mozgawa is genuinely exciting about being able to play the songs from Heads Up live, and the opportunity that it provides the musicians to learn new skills. When writing these songs, there was a commitment to remain respectful of the intent and mood of the demos that other band members presented. This has lead to the most surprising song of Warpaint’s career – the effervescent slice of pop, New Song. Mozgawa says that Warpaint have a lot more material to draw from since their last appearance in Perth. The drummer is keen to show off the bands new skills and textures as they tackle their most recent batch of songs without relying too heavily on technology.